Your New Orleans Power Pass gets you into attractions such as Audubon Aquarium of the Americas, Mardi Gras World, Adventures in New Orleans Bus Tour, Longue Vue House and Gardens and more - it's like having a ticket to everything! See more, save more with New Orleans Power Pass! For one low price, visitors receive free entry to all the most exciting attractions in town... a combined value of over $500 in admission fees. A New Orleans Power Pass™ also includes "Fast Track", allowing customers to skip the line at many attractions. 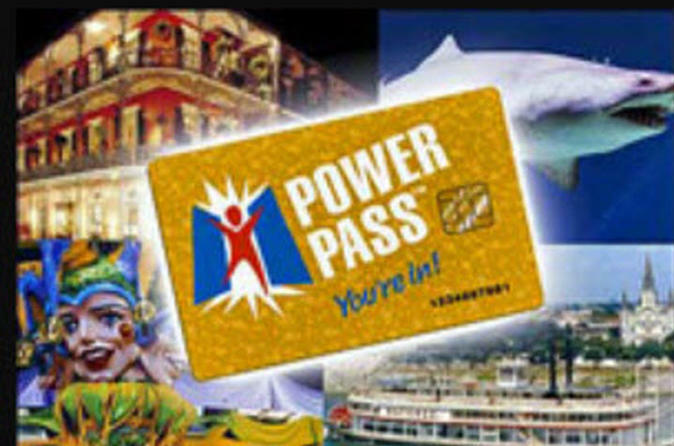 Every New Orleans Power Pass provides additional discounts and special offers for fine retail shops, restaurants, and other activities. A colorful guide with maps, travel instructions, attraction descriptions and operating hours is also included. Please see list below for participating attractions.